This ear, for the traditional festival Saturday marathon, we invite you for a triple screening of adult animations. The titles included in the program could easily make even the most experienced fans of gore and paranoid thrillers tremble. Blood-thirsty dictators, mad science experiments, and a ruthless pursuit of money are the quiet nightmares that, from time to time, haunt the thoughts of a modern man. The creators of several rebellious animations bring to light our deep-seated fears, and forces the animated characters to face them, so that the audiences doesn't have to. The marathon begins with "Dahufa," directed by Busifan. Its protagonists fight a dystopian prince from a faraway land, whose inhabitants have their eyes and mouths covered, and are constantly lethargic. Busifan's brave vision is an independent Chinese animation whose style is inspired by traditional painting and gore. A truly bloody Orwellian tale. Coming after a short break is "Violence Voyager" by Ujicha – a unique animation made in the gekimation technique. Two school friends' trip turns into a macabre experience, and the amusement parks will never again be the same. The director's style is clearly inspired by body horror and the comic books of the 80s. The last screening takes us back to China, this time its contemporary version. 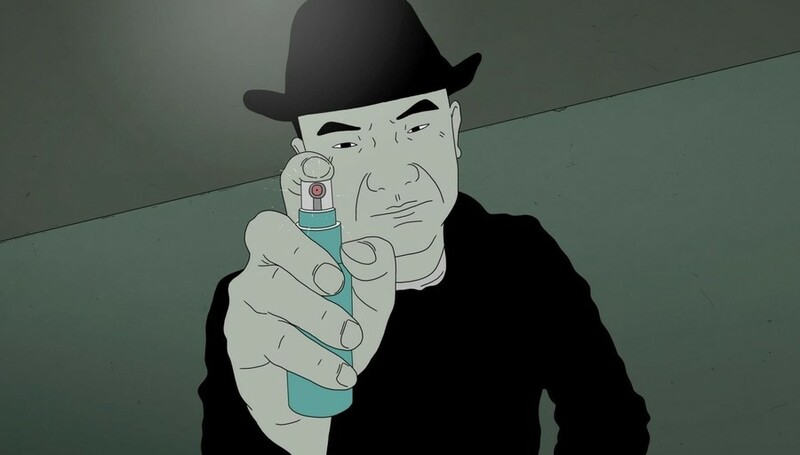 Liu Jian's "Have a Nice Day" is an anti-consumerist crime story with a Tarantinoesque flare, set in the suburbs of one of the Chinese metropolises. The empty streets enhance the feeling of entrapment, and the numerous references to pop culture and current political events remind us that "Have a Nice Day" is also a portrait of the world we live in.